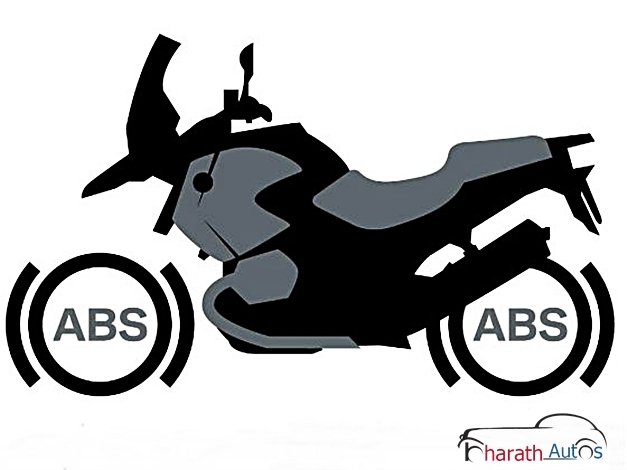 BMW Motorrad introduced Antilock Brake System (ABS) in 1988 and now the company confirms it will sell 2013 motorcycles with ABS as standard feature across all models. This is part of the manufacturer’s Safety 360 initiative and other than ABS, the BMW Motorrad has also developed rider aids like electronic suspension, dynamic traction control, stability control and also adaptive headlamps – something which until now was seen only in cars. This step is being taken ahead of 2016 by which time it will be made mandatory for all newly registered motorcycles in Europe. But BMW have done well to acquit themselves four years before the law is enforced. The new BMW motorcycles with standard ABS will be available at all BMW Motorrad dealerships from August 2012..
BMW F800R model will be available in a choice of three paint colors Racing Blue Metallic, Alpine White and Sapphire Black Metallic while older color options will be discontinued. BMW F800R Dynamic will be seen with a new engine spoiler, LED rear lights, LED turn indicators and pillion seat covers. Additional package will cost €295 inclusive of all taxes. BMW F800R Touring is being specifically modified to suit travelers. This package will include a luggage rack, on board computer, heated grips, pannier holder and centre stand and will come into showrooms by August. Prices for this package will cost €495 along with all taxes. BMW G650GS for 2013 model year will be available in Sunset yellow while orange red is discontinued. BMW R1200R colors will include Monetgo blue metallic and Magnesium beige metallic while two older colors of Red apple metallic and Smoke grey are terminated. BMW S1000RR, BMW K1300S, BMW K1300R, BMW K1600 GT and BMW K1600 GTL will all be upgraded for the 2013 model year and will be offered in a new color range. A number of updates will be seen in the 2013 model of BMW Motorrad range. These models will be available with new configurations and ABS as standard in all models worldwide. The new BMW motorcycles with standard ABS will be available at all BMW Motorrad dealerships from August 2012. As a leading motorcycle manufacturer, BMW Motorrad has always been aware of its social responsibility in connection with motorcycling safety. In 1988 the company presented the world’s first serial production motorcycles with the antilock brake system ABS – the most effective technical safety bonus to this day. Now follows the next logical step: as of the model year 2013, BMW Motorrad will be the first manufacturer in the world to provide ABS in all models as standard. This is a proactive step, clearly pre-empting the requirement for ABS which is likely to be introduced in 2016 for all newly registered motorcycles in Europe. The Dynamic package is available for the F 800 R from August in conjunction with a new vehicle order. The package price in Germany is € 295.- incl. 19 % VAT (price saving € 138.). The Touring package is available for the BMW F 800 R from August in conjunction with a new vehicle order. The package price in Germany is € 495.- incl. 19 % VAT (price saving € 215.-). The paint finishes Ostra grey metallic matt/Sapphire black metallic, Light grey metallic and Black satin gloss/Granite grey metallic matt are no longer available. The sports wheels previously available as an optional extra are now included in the range of standard fittings. The Dynamic package of the K 1300 R therefore no longer includes them. The latter thus comprises heated grips, on-board computer, LED turn indicators, the Sport windshield, Electronic Suspension Adjustment ESA II and the shift assistant. The package price has been adjusted downwards accordingly and is now € 890. – (previously € 1,000.-; price valid for the German market). The paint finish Vermilion red metallic is no longer available. The LED additional headlamps are available as of October 2012 as a new option for the K 1600 GT (previously only for the K 1600 GTL). In the 5.7-inch TFT colour screen on the instrument panel, there is now an optional digital speed display or the logo “6”. The paint finish Royal blue metallic is no longer available.